Unfortunately, borderline personality disorder (BPD) frequently co-occurs with other conditions that impact mental health. 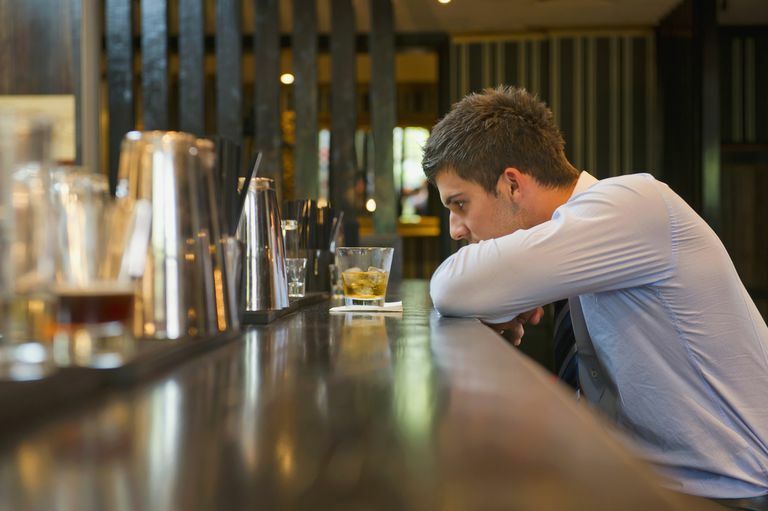 Alcoholism is one disorder that is common among people with BPD. There is a remarkable overlap between substance abuse disorders and borderline personality disorder. One recent study found that about 78% of adults who have been diagnosed with BPD will also have a co-occurring substance use disorder at some time in their lives, meaning the symptoms and course of BPD and the substance use disorder occur at the same time. The most common substance use disorder among people with BPD is alcoholism, followed by cocaine and opiates. Another recent study showed that about 63% of people with BPD participating in the study also had alcohol use disorder. Conversely, the study showed that those with alcohol use disorders were 3.35 times more likely to be diagnosed with borderline personality disorder. It's clear the two often go hand in hand. Unfortunately, there is also evidence that people with both BPD and alcoholism have more difficulties in their lives and are less responsive to treatment than people who have only one of the disorders. For example, people with alcoholism and BPD are less likely to stay in substance abuse treatment, have more distress and suicidal thoughts, and are more likely to engage in other addictive behaviors, such as binge eating or gambling, than those with alcoholism who do not also have BPD. However, treatment can be very effective for those who stick with it. Why Do Alcoholism and BPD Co-Occur So Frequently? Most likely, several factors account for the high rate of co-occurrence of alcohol use disorder and borderline personality disorder. First, BPD and alcoholism may share common genetic pathways. That is, some of the genes that put people at higher risk for BPD may also create higher risk for alcoholism. Secondly, there may be common environmental causes for alcoholism in BPD. For example, experiences of maltreatment in childhood, such as physical or sexual abuse, or emotional abuse or neglect, have been linked to both BPD and alcoholism. Another potential reason for the link between alcoholism and borderline personality disorder is because individuals with BPD may use alcohol to decrease the intense emotional experiences that are a hallmark of BPD. Because people with BPD have strong emotions frequently, casual use of alcohol to self-medicate may lead to abuse or dependence. The second recent study referenced above mentions another possible explanation for co-occurrence of BPD and alcohol use disorder, as well as opiate and cocaine abuse, all three of which are most closely linked with BPD. Evidently, alcohol, opiates and cocaine all stimulate the endogenous opioid system (EOS), whose function is to relieve pain and act in reward and reinforcement behaviors. BPD symptoms have been connected to the EOS not functioning well, so the link may be that people with BPD are more likely to abuse these three substances since they activate the EOS. If you or someone you care about is struggling with alcoholism and BPD, you need to get help. These two conditions are not easily tackled alone. Contact your doctor, find a therapist or check out Alcoholics Anonymous. Zanarini MC, Frankenburg FR, Hennen J, Reich DB, & Silk KR. "Axis I Comorbidity in Patients with Borderline Personality Disorder: 6-Year Follow-up and Prediction of Time to Remission." American Journal of Psychiatry, 161:2108–2114, 2004. Miller FT, Abrams T, Dulit R, & Fyer M. "Substance Abuse in Borderline Personality Disorder." American Journal of Drug & Alcohol Abuse, 19:491–497, 1993. Morgenstern J, Langenbucher J, Labouvie E, & Miller KJ. "The Comorbidity of Alcoholism and Personality Disorders in a Clinical Population: Prevalence Rates and Relation to Alcohol Typology Variables." Journal of Abnormal Psychology, 106: 74–84, 1997. Kienast, T., Stoffers, J., Bermpohl, F., & Lieb, K. "Borderline Personality Disorder and Comorbid Addiction: Epidemiology and Treatment." Deutsches Ärzteblatt International, 111(16), 280–286. (2014). Carpenter, R.W., Wood, P.K., Trull, T.J. "Comorbidity of Borderline Personality Disorder and Lifetime Substance Use Disorders in a Nationally Representative Sample." Journal of Personality Disorders, 29 (2015).